A fun, relaxing pet forest game made for lowrezjam, in the vein of a tamagotchi. 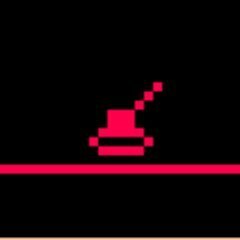 Grow a dynamic little forest, see how long it can survive, experiment with the different algorithms, or burn it all to the ground! Whatever your heart desires. Arrow keys move the screen around or control the menu if it is open. Press left/right on a setting to decrease/increase its value. Hold Button1/Z while pressing left or right to make a setting increase/decrease faster. Menu 1 has general settings, including the growth algorithms and the chances for trees to grow/burn next to each other. Algorithm 4-6 use the same neighbourhoods as 1-3 respectively, but will only sprout/burn if there is only ONE tree next to a cell. Menu 2 has the probabilities for a cell to randomly change state, regardless of whether there is a tree in its neighbourhood. Worked on the argue menu. You can't actually choose an argument to make yet, but the menu at least shows something. Also made it so it says how many cash you got when you die. It's a high score game, you try to get as much Cash as possible. At the moment there is no end game because I thought I had more time to work on it. Does anyone know of an easy way to export music from one cart and import it into another? I got someone to make some music (thanks Pizza!) for a game I'm nearly finished but I can't really think of a way to get it into my cart. I know copying and pasting the data to/from the .p8 file as text works in theory, but I already have sound effect/music in my game, so I know they won't really transfer properly because the indexes for the sound effects will be off.